What is the objective for the postdoctoral researcher grant? The results of the 2019 call for applications will be available by the end of June. The next call for applications will open in the beginning of 2020. We support researchers who have earned their doctoral degrees abroad in coming to Estonia for postdoctoral research. We expect to bring approximately 100 postdoctoral researchers to Estonia through at least five calls for proposals. The grant is provided with the aim of balancing and encouraging brain circulation whilst supporting opportunities for completing postdoctoral research, an important stage in research careers. The Estonian state attaches importance both to international researchers coming to Estonia to work and to the return of Estonian researchers who have gone abroad to study, in order to facilitate the application in Estonia of knowledge and experience acquired abroad and expand career options for researchers at the beginning of their career paths. As a result of the activity, more researchers with international experience, including foreign researchers, will be working in Estonia than is the case now. Furthermore, postdoctoral research and international research experience will become a natural ingredient of research careers in Estonia. The amount of the grant depends on the amount of personal research grants issued for postdoctoral researchers from the state budget and is defined in Annex 2 to the decree on Mobilitas Pluss. The final beneficary of the grant is an Estonian R&D institution or company hiring postdoctoral researchers who have come from abroad. The grant is subject to self financing requirement of 5% by the host institution. 4000 € in the first year for relocation support for projects that last less than two years (in case the postdoctoral fellow has not lived, studied or worked in Estonia within 180 calendar days immediately prior to the closing of the call for applications). The minimum grant period is 12 months and the maximum period is 24 months. Implementation of the postdoctoral project should commence within six months after the decision to grant the application, unless a different agreement has been negotiated with good reason. The grant period will commence on the date specified in the grant agreement. Final recipients of postdoctoral researcher grant include R&D institutions, companies or higher education institutions hiring postdoctoral researchers who have come from abroad. Postdoctoral researcher grant is aimed at both Estonian residents and foreign nationals who have defended their doctoral degrees at universities abroad. It is important that the applicant has been awarded a doctoral degree or an equivalent qualification within the past five years as of the deadline for the submission of grant applications. The grant period is 12-24 months. Implementation of the postdoctoral project should commence within six months after the decision to grant the application, unless a different agreement has been negotiated with good reason. The grant period will commence on the date specified in the grant agreement. The postdoctoral fellow has to work for the host institution during the project and with the place of work in Estonia. The Estonian Research Council is entitled to introduce additional requirements for the final recipient when announcing calls for proposals. A postdoctoral research project has to have a supervisor. The supervisor should hold an Estonian doctoral degree or a corresponding qualification from abroad and be a member of staff at the host institution. When may a grant be applied for? The next call for applications will be opened in January 2019. We will publish the application instructions and application form on the day of the announcement of the call at the latest. 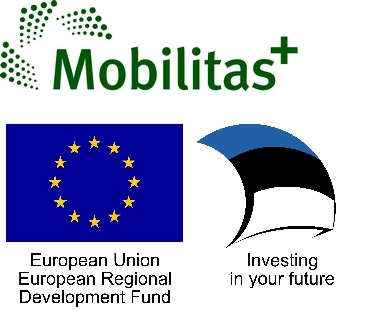 Applications can be submitted via Estonian Research Portal ETIS. In order to fill in the application in ETIS one needs to create a personal account. This can be done by contacting the host institution. Application is successfully submitted when it is confirmed by the host institution. Applications are evaluated on a scale of 1 (non-satisfactory) to 5 (excellent). Evaluation is provided with the precision of 0.5 points. The cumulative score is made up of the weighted average for the selection criteria. Weights for each selection criterion are indicated in the evaluation instructions. Evaluation of applications will result in a ranking. Applications meeting the requirements are subject to funding based on the ranking, until the funds allocated for the call have run out. Applications with a cumulative score below 3.5 will not be funded. The corresponding decision on the application will be sent to the host institution and the postdoctoral fellow through ETIS. A decision on granting or rejecting an application will be sent to the host institution within 10 working days of making the decision. In the case an application has received an affirmative funding decision, we will conclude a trilateral grant agreement between ETAg, the host institution and the postdoctoral researcher.